The intricate paper cuts of Ingrid Lavoie draw you into a fantastic world of whimsy, nature, and storytelling. We are so happy to have Ingrid come to teach her unique craft during Scandinavian Heritage Week, March 19-25. 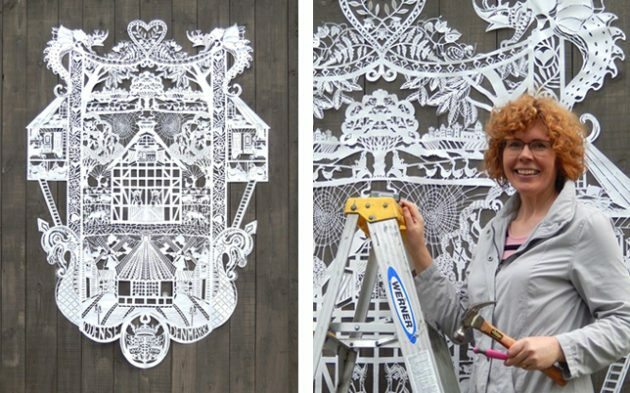 She is a graduate of the Rhode Island School of Design (RISD) who fell in love with papercutting while on vacations visiting family in Denmark. 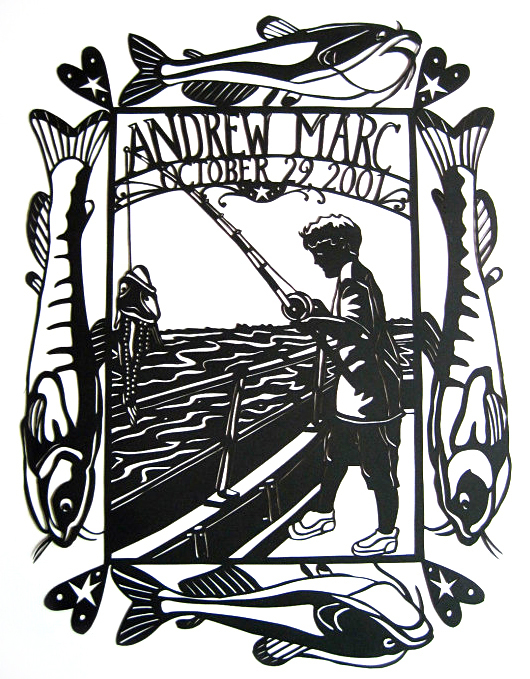 Self-taught, she found her rhythm and style by using an X-Acto knife to “draw” images, instead of scissors. She enjoys unfolding a new work to reveal the paper’s transformation, and has been teaching others this delightful art form for several years. Enjoy our interview! CP: How did you get your start with paper cutting? IL: I was on vacation in Denmark visiting my Aunt and noticed them in homes and for sale. I was a student at the time and couldn’t afford to buy as many as I’d like, so I tried to cut my own. CP: What do you like about this unique medium? IL: I really enjoy the act of cutting the paper. The hardest part of making my art is the design and drawing. Once I have those factors realized the cutting part is very relaxing. In high school, I loved taking 3-D and cutting the paper is like sculpting. What are you taking away from the sheet, what is left behind and does that read. CP: Where did you grow up? IL: I grew up in Connecticut and live in Rhode Island, the smallest state in the Union! 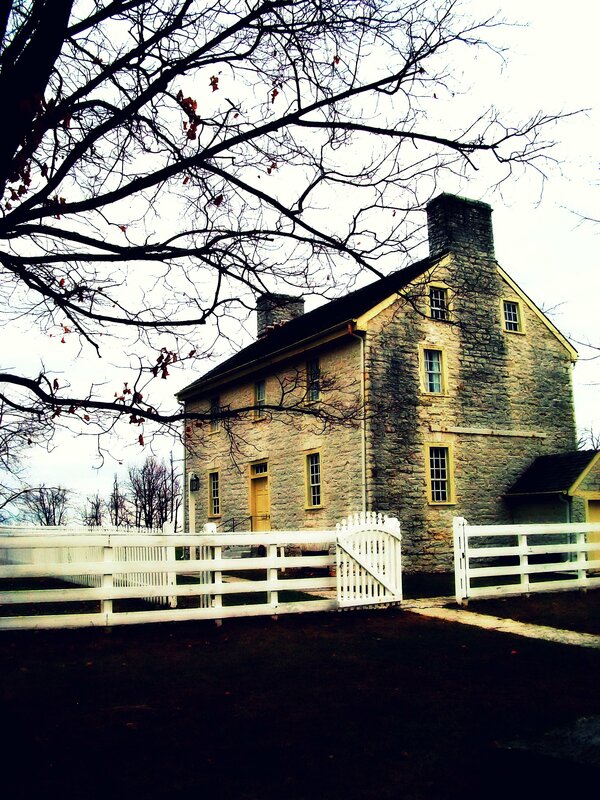 CP: How does living in Rhode Island influence your work? IL: We are also know as the Ocean State, so those motifs find their way into my work. CP: Do you have a favorite motif? IL: Any thing that has either fur or feathers!!! CP: What or who inspires you? IL: Other paper artists, such as Mr. Rob Ryan, old illustrations and beautiful images that come on my Pinterest feed. CP: You have so many beautiful and intricate pieces! IL: Well, thank you! My first cuttings weren’t so detailed. CP: Tell me about a favorite project. IL: This fall I made my largest cutting to date. It measures over 6ft tall! I used tyvek for the first time and it was a challenge. It celebrates Hans Christian Andersen’s birthplace, Odense Denmark. In it are lots of images and a hidden pair of scissors. He was a paper cutter himself and would entertain folks at parties by telling a story as he cut and then revealing an illustration at the end. Sort of a parlor trick. 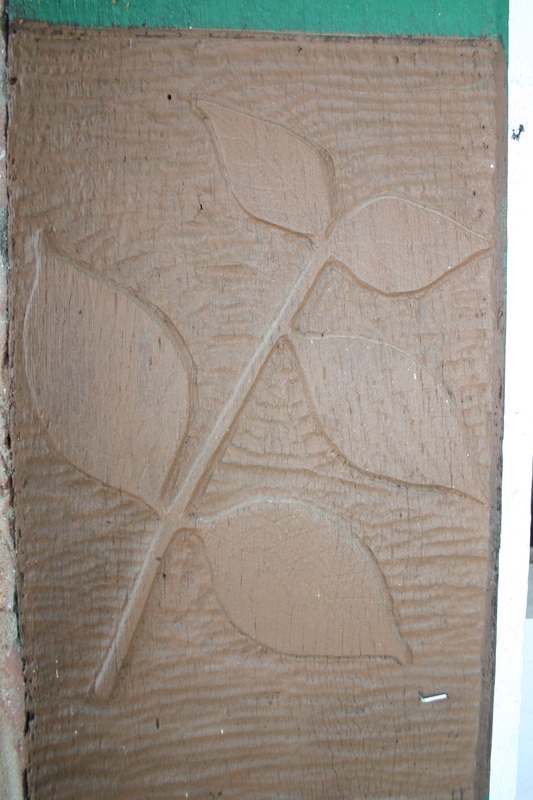 I’m bringing this cutting with me, to the Folk School, as it fits in so well with the Scandinavian theme! We can look forward to seeing this impressive paper cut, a tribute to Odense Denmark, in person at the Folk School during Scandinavian Heritage Week, March 19-25. Here Ingrid has installed it at the 2016 Wee Faerie Installation, Florence Griswold Museum. CP: Your class is during Scandinavian Heritage Week. Is paper cutting specific to Scandinavia, or is paper cutting a medium you would find traditionally across the globe? 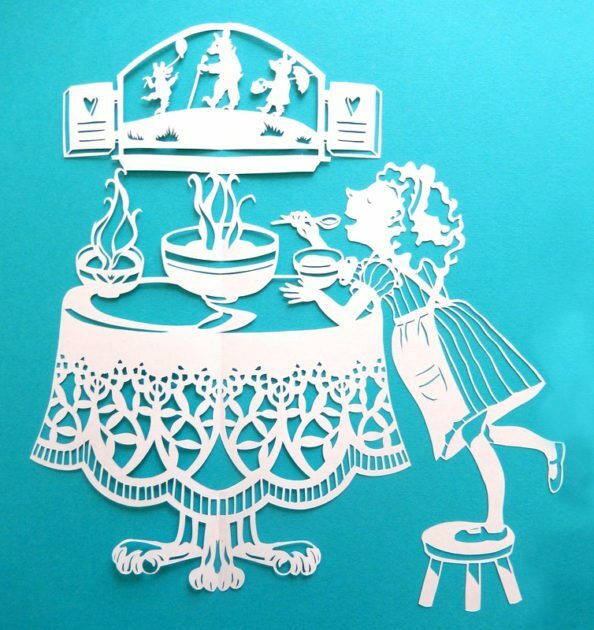 IL: The act of paper cutting is a tradition you can find in nearly every culture around the world. In Scandinavia, they typically hang cuttings in their windows to celebrate the light during long dark winters. CP: How old is the art of paper cutting? IL: Thousands of years old, once paper was invented in China, it wasn’t long before people started cutting it. CP: Why did people traditionally make paper cuts? IL: I think it’s because most people have access to it. You don’t need fancy tools, chemicals or a studio to do it. Swiss shepherds would use their sheep sheering scissors to cut images for their loved ones. CP: Do you need to be skilled at drawing to be good at paper cutting? IL: It can be a big help, but not a necessity. It also depends on how realistic you want you images to be. But like anything, it requires practice and patience. CP: I’m always curious about how traditional folk arts fit into a contemporary art school degree program. 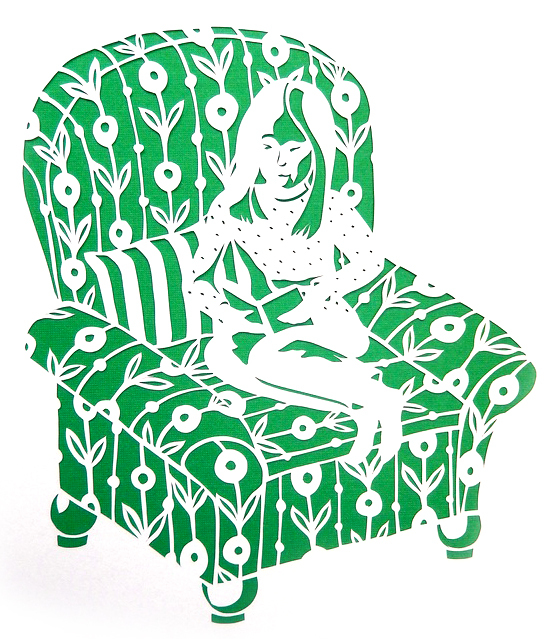 Was it readily acceptable to use paper cutting as an illustration medium when you pursued your BFA at RISD? IL: No, I did paper cutting more for gifts and decorations when I was in college. I wanted to be a children’s book illustrator in college and my medium then was pastels. I still want to be a children’s book illustrator and would love to create one in paper cutting. CP: What is your 2017 winter obsession? IL: Baking cakes and cinnamon buns, you can see on my blog. If I’m not creating art, I’m baking! CP: What would be your dream commission? IL: Window cuttings for a fabulous New York City department store’s Christmas display. CP: Tell me about your upcoming class, Introduction to Paper Cutting. 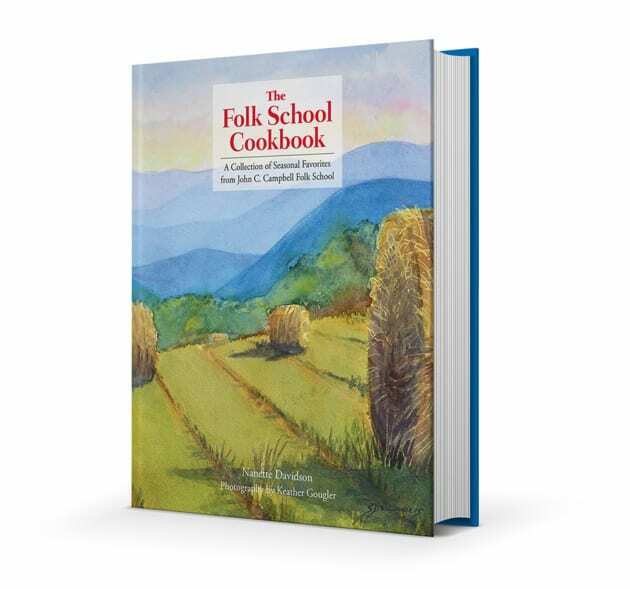 IL: It is my hope that my students enjoy the class and leave with a piece of art that will become an heirloom to their families. IL: They can visit my website and my Etsy shop. IL: No, I usually cut myself handling the glass when I’m framing. You can get a crick in your neck if you don’t stretch now and again! 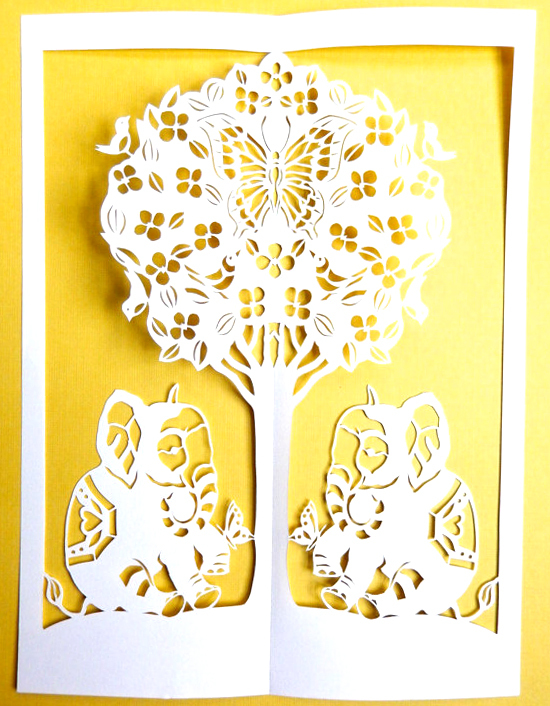 Paper cutting has been practiced for centuries around the globe. Thought to have originated in China, it became widely popular in Germany as scherenschnitte and grew as a folk art in Scandinavia. Join us to explore these worldwide traditions, which relate in symmetry, but vary in design. 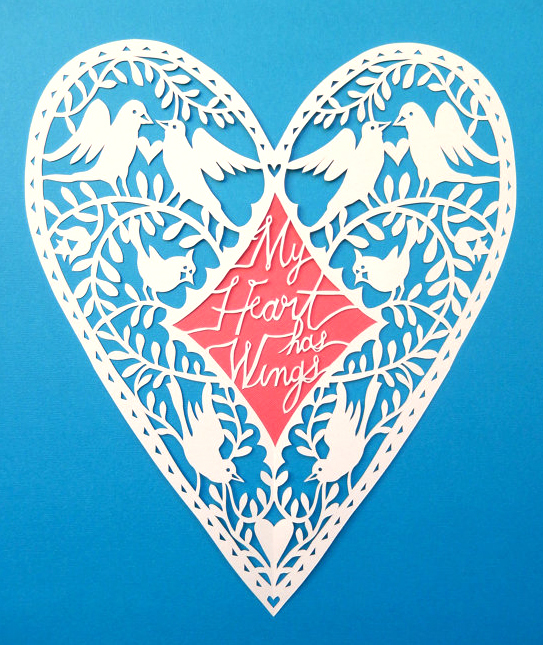 This introduction to the act and art of cutting paper will be done with X-Acto knives and provided templates, plus students may design their own work to create personal heirlooms. All levels welcome. Scandinavian Heritage Week honors the Folk School’s roots, inspired by “folkehøjskole” of these northern European countries. In the company of newfound friends, you will enjoy special food, music, dance, and craft traditional to the region. A few of the projects that Ingrid will offer during her upcoming class.